Welcome back to school! 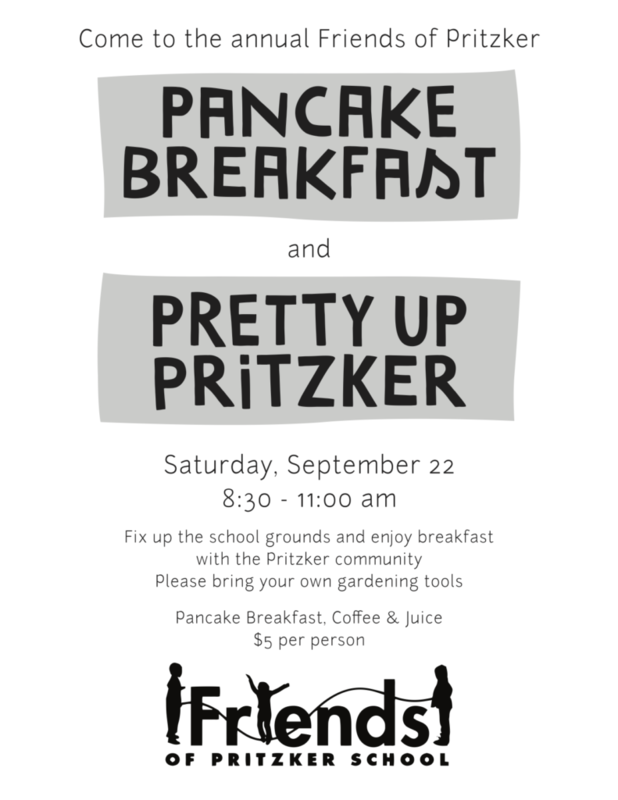 It is a new year and time for Pancake Breakfast and Pretty Up Pritzker 2018! Come join us Sept 22nd from 8:30-11am.